The NAR released their Pending Sales report this morning. 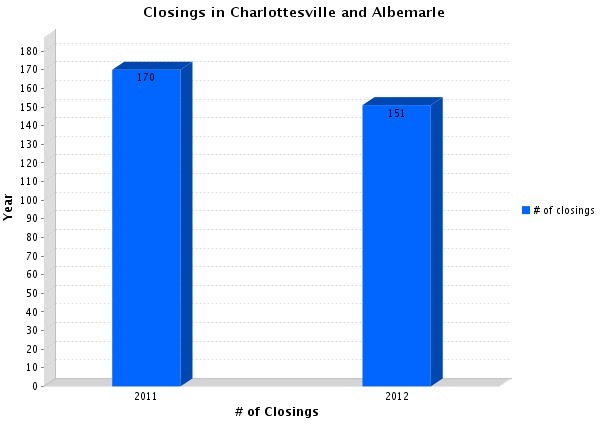 As we know, national data doesn’t matter so much. 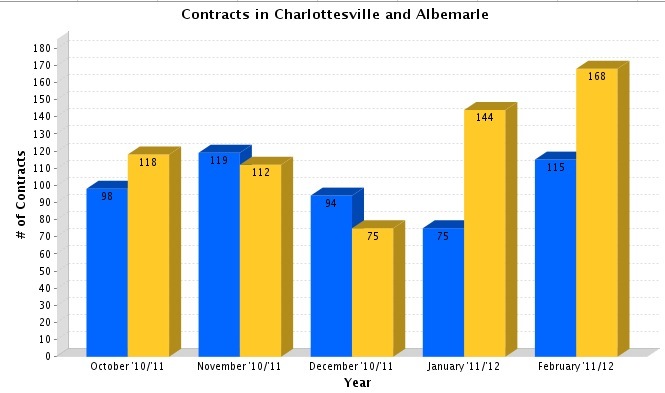 So, I looked at the homes put under contract in Charlottesville and Albemarle for the past few months. ** “Right Now” is 27 February around 10:30. From Open Space. 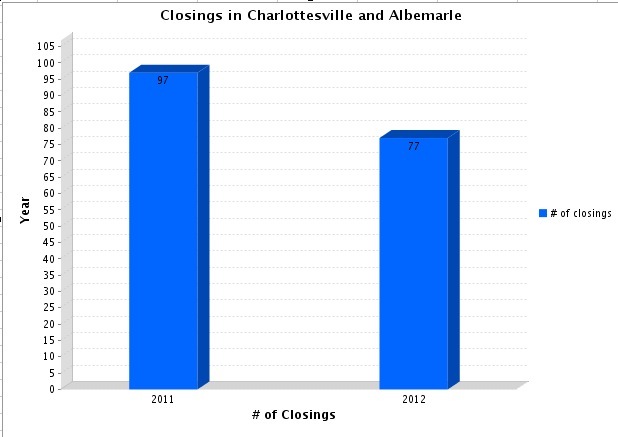 I’ll update the chart after February. Updated on 3 March. 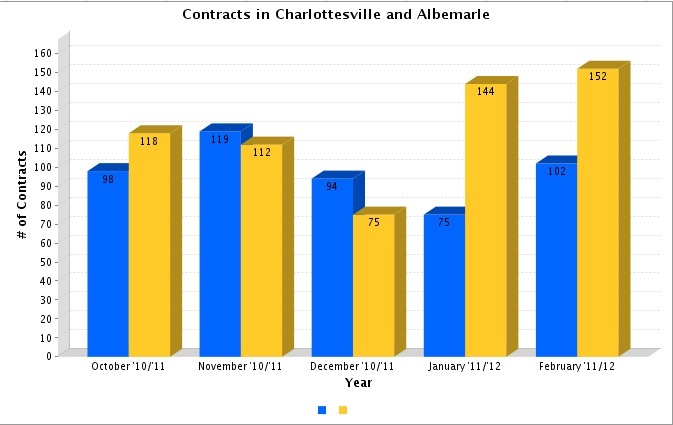 Contracts in February 2012 in Charlottesville and Albemarle are up just over 68%. Eventually I’m also going to look into breaking down property type (single family, attached, condo) and sale type (regular, short sale, bank-owned).